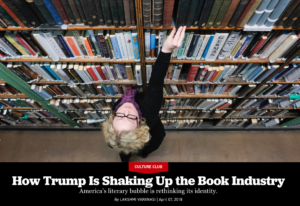 The turn of political administrations has always brought changes to the literary landscape. The dystopian narratives of the late 1980s like Margaret Atwood’s The Handmaid’s Tale or Alan Moore’s V for Vendetta were seen as a response to the fundamentalist politics of Ronald Reagan’s presidency. […] But Trump, a president so unlike any of his predecessors, has jolted society in a more fundamental way. Despite branding himself as a New York City billionaire, he bypassed barriers of class and geography, and captured the presidency by bringing the grievances of small-town America to the fore. 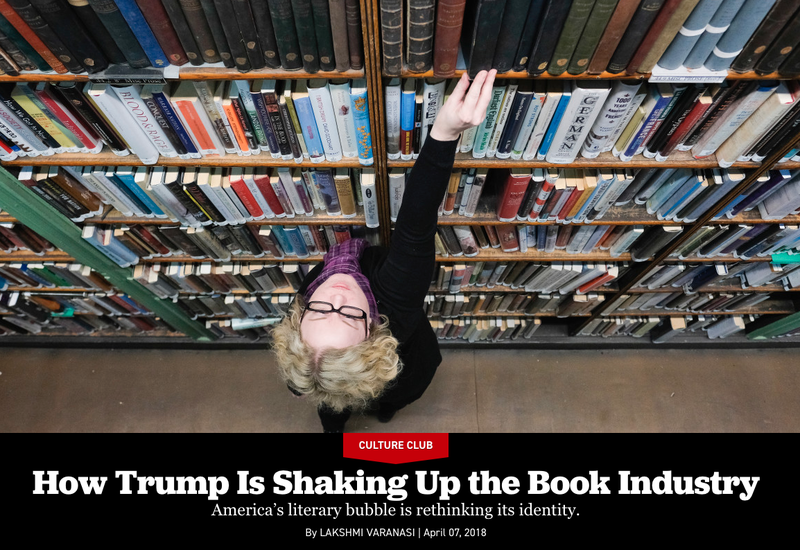 Suddenly, the voices of Pittsburgh steel factories have begun to echo in book-lined Manhattan offices.